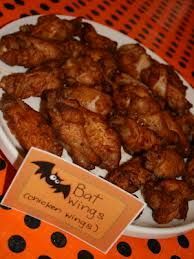 Throw your little monsters a spooky feast to remember with these frightfully awesome Halloween Party Food Ideas. 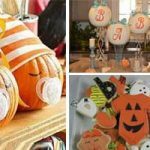 Even if you are too old for trick or treating – you will still have fun making these sweet treats. 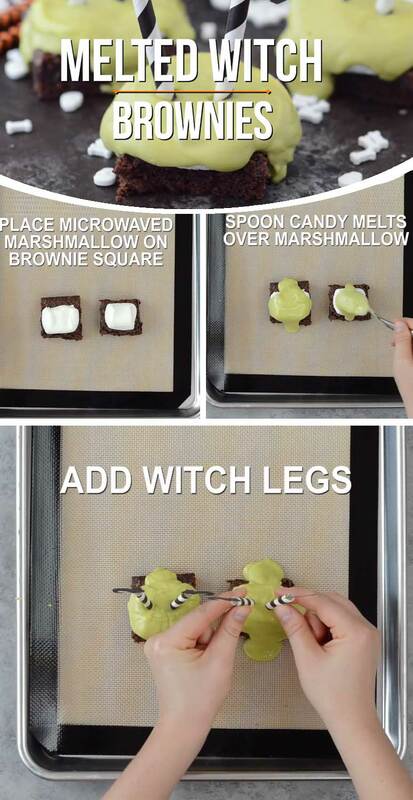 Witches legs have never looked cuter with these melted witch brownies. 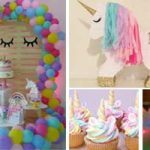 You’ll be surprised at how easy they are to make with box of brownie mix, marshmallows, and candy melts. What a creative way to present a brownie. 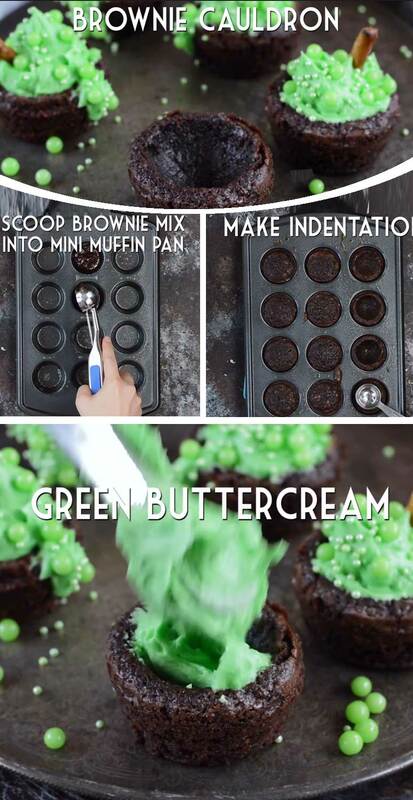 The bubbling effect is achieved by adding green candies on top of the green frosting. 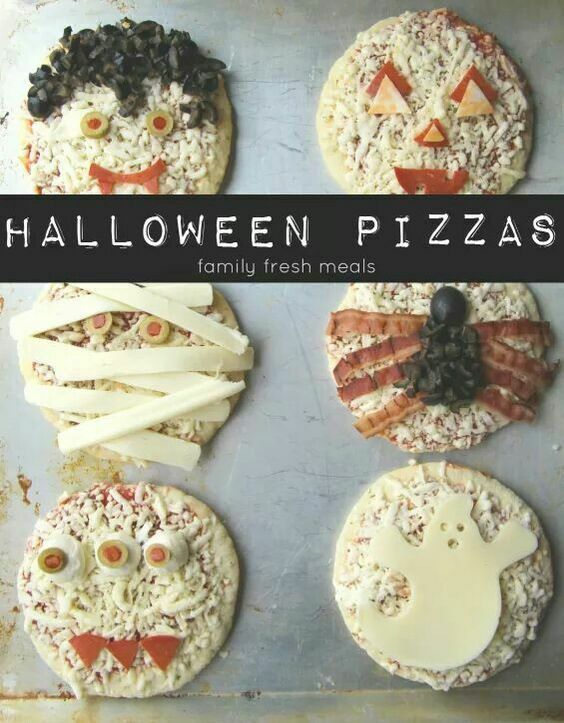 Give pizzas a monstrous makeover with these creepy ideas that will fill the hungriest of goblins. Olives are used for monster eyes while cheese is sliced into strips to make mummy bandages. 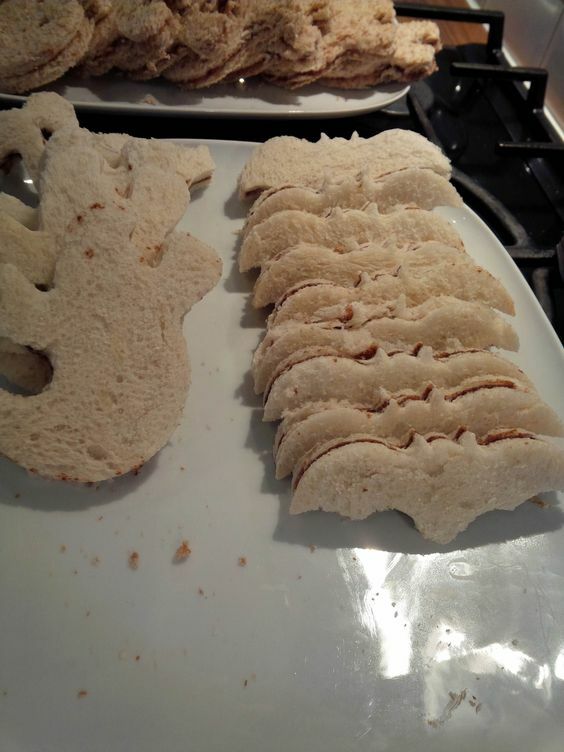 With Halloween themed cookie cutters you can make all sorts of spooktacular shaped sandwiches. 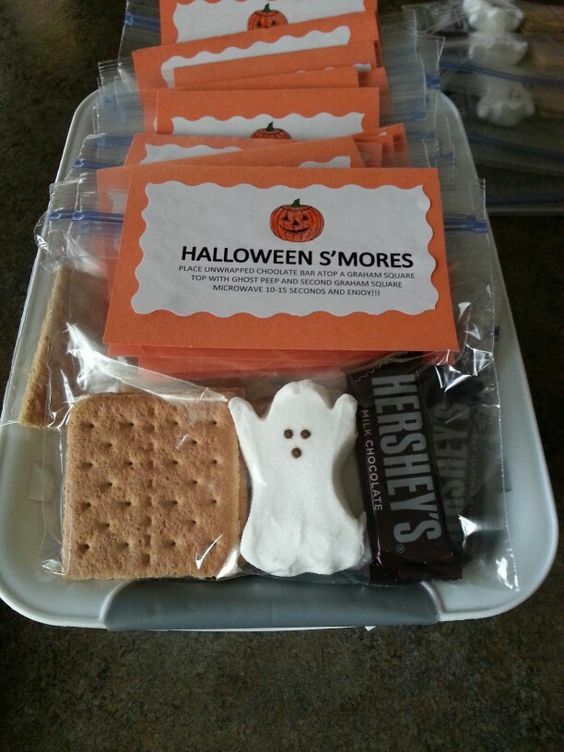 Make this Halloween smores kit as favors to give out to little terrors. 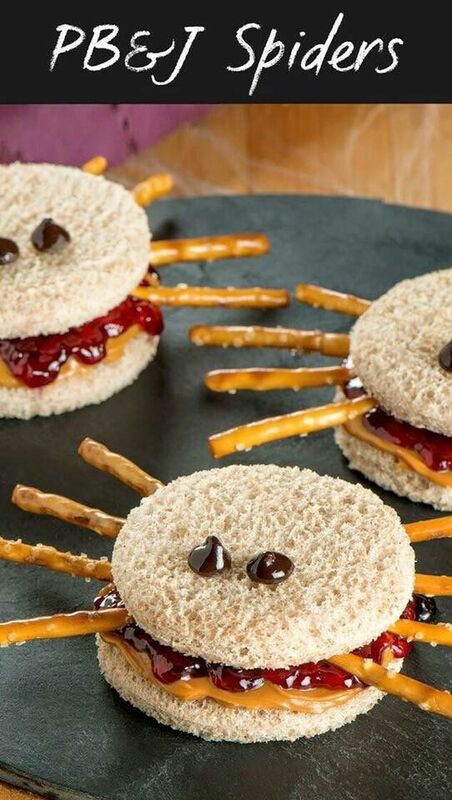 You’ll need ghost peeps, chocolate bars and graham crackers..
Every little witch loves a spider shaped sandwich to keep her energy up. 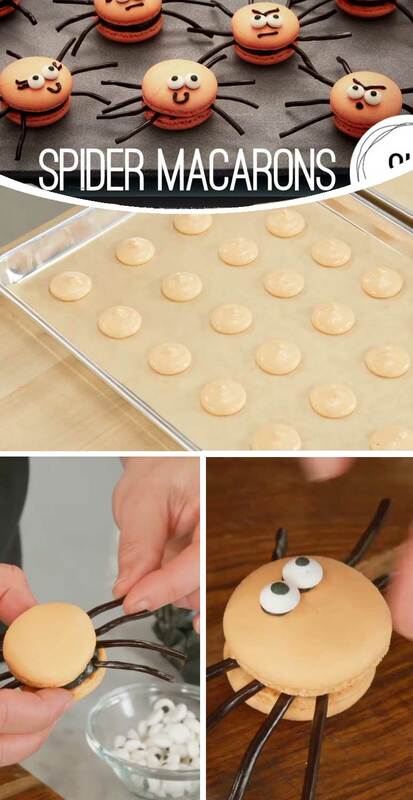 These edible monsters will be a treat with your little ghouls. 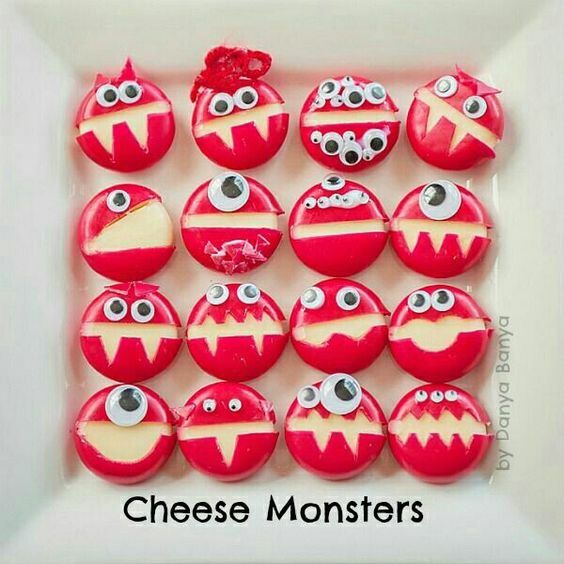 You’ll need Mini Babybel cheeses to make these cuties. 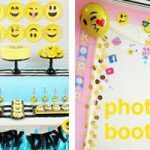 Use a knife to carve out scary faces and add googly eyes. 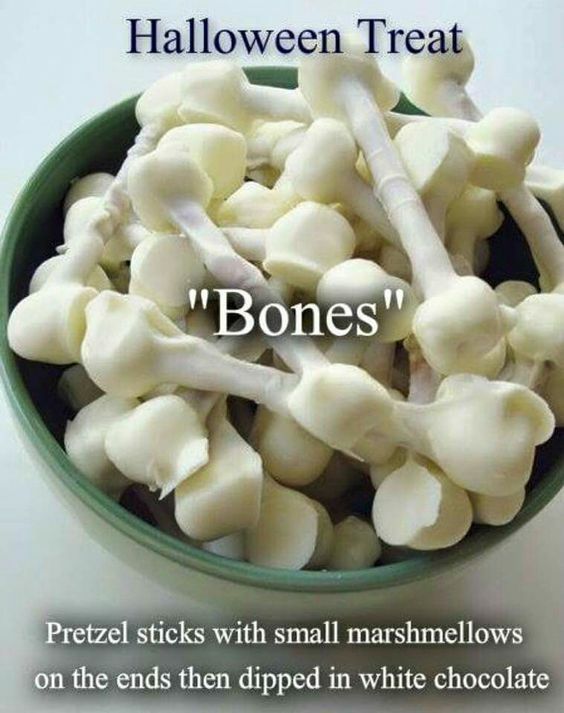 These Halloween Bone Treats are so simple to make. 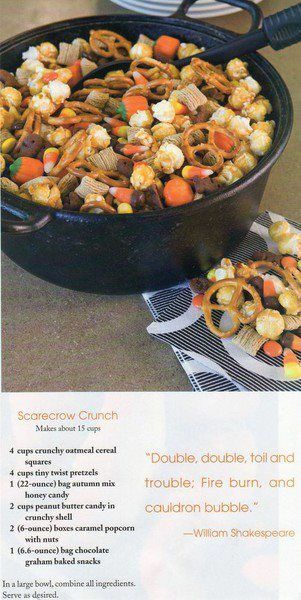 You’ll need pretzles, add mini marshmallows on the ends & then cover in white chocolate. 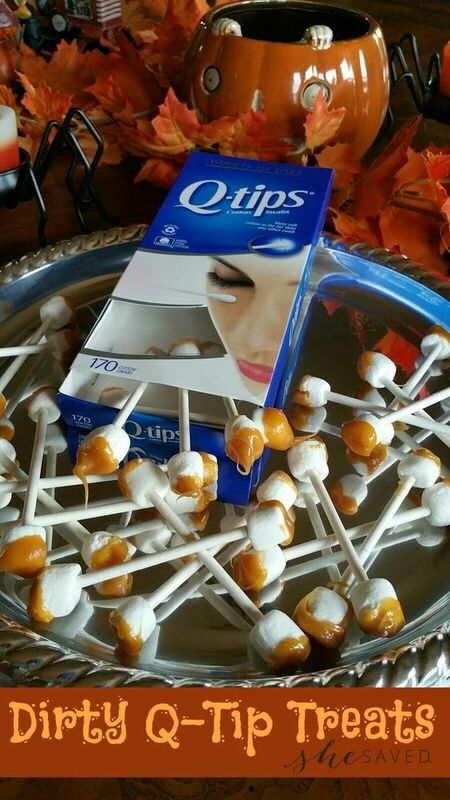 With only a few supplies you can mke these gross Q Tips. 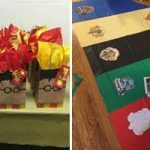 If your little zombies have a craving for brains – then why not whip up these smart treats to satisfy!